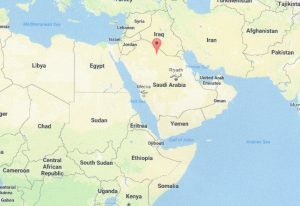 In October, the Pentagon admitted it used “depleted” uranium weapons in attacks inside Syria—violating its public promise last year that it would not use DU there, and contradicting the government’s promise that US bombing is done in defense of the Syrian people, according to the International Campaign to Ban Uranium Weapons. Military studies done in 1979, ‘90, ‘93, ‘95 and ‘97, make clear that uranium weapons are chemically toxic, alpharadiation-emitting poisons that are a danger to target populations and to invading/occupying US forces alike. In spite of this cautionary written record, the military has been shooting its radioactive waste all over the world: into population centers in Iraq in 1991 (380 tons), in Afghanistan in 2001 (amounts unknown); in Bosnia in 1994-‘95 (five tons); in Kosovo in 1999 (10 tons), in Iraq again in 2003 (170 tons); and now in Syria. The AEPI report above also says that DU has the potential to generate “significant medical consequences” if it enters the body. The Army’s Office of the Surgeon General, in its Aug. 16, 1993 “Depleted Uranium Safety Training Manual,” says that the expected effects of DU exposure include a possible increase of cancer and kidney damage. The manual also warns, “When soldiers inhale or ingest DU dust, they incur a potential increase in cancer risk … (lung or bone) and kidney damage.” The Army’s Mobility Equipment, Research & Development Command reported way back in 1979 that, “Not only the people in the immediate vicinity but also people at distances downwind from the fire are faced with potential over exposure to air-borne uranium dust.” This uranium “dust” is generated when DU shells hit and burn through hard targets like tanks or armored vehicles. The uranium is spread for miles by the wind, contaminating everything is its path including food, water, soil, schools, hospitals, etc., and DU is radioactive forever, or ten times 4.5 billion years, whichever comes first. With evidence of its radio-toxicity so clear and redundant, any use of uranium weapons today appears to flaunt the military’s own Field Manual prohibition— absolute and universal—against the use of poison or poisoned weapons. The military has a long history of deliberately exposing US citizens and others to deadly risks without their knowledge or consent, beginning with the open-air nuclear bomb tests it knew would contaminate vast areas. Today, the Pentagon extends this ghastly history into Syria where it is deliberately exposing human beings to weaponized radiation that it knows can cause cancer and other diseases. As if the undeclared, unconstitutional war in Syria weren’t unlawful enough, now add the crime of using poison in violation of military law, the Hague Regulations of War on Land, and the Geneva Conventions. In the 1991 Persian Gulf War, U.S. forces used depleted uranium as both armor piercing bullets and as tank armor for the first time. These weapons are both radioactive and toxic. Uranium Oxide particles formed during production, testing, and battlefield use pose a long term threat to human health and the environment. Uranium weapons are effective antitank “penetrators” because they are extremely dense. A slug of uranium weighs twice as much as a piece of lead the same size. When alloyed with titanium, uranium is extremely hard. Uranium is also “pyrophoric”, which means it burns upon impact. The U.S. Military chose to develop uranium weapons not only because they are promised to be effective, but because the metal itself is very cheap. Depleted uranium is material that remains when enriched fissionable uranium- that is, capable of generating a nuclear explosion or nuclear power- is separated from natural uranium. The U.S. stockpile exceeds a billion pounds. Uranium weapons production is the nuclear bombmakers’ idea of “recycling”. Depleted Uranium is not capable of an atomic chain reaction. It is not considered a high-level radioactive material. As a metal slab, like the armor plates in the U.S. Army’s M1 Abrams tanks, it is a relatively harmless. Though constant exposure could cause problems. But especially in particulate form, it can be extremely hazardous. When uranium weapons burn, when they corrode, and when they are machined, uranium oxide dust is created. When inhaled, small particles-those less than 5 millionths of a meter-can lodge in a human lung tissue, exposing the host to a growing dose of alpha radiation. This can cause lung cancer in people of all ages, and is particularly hazardous to children. Uranium, like lead and other heavy metals, is a chemical poison. The ingestion of minute quantities of uranium in food or drinking water can cause irreparable damage to the kidneys. Some experts consider this is a greater risk than radiation from depleted uranium. 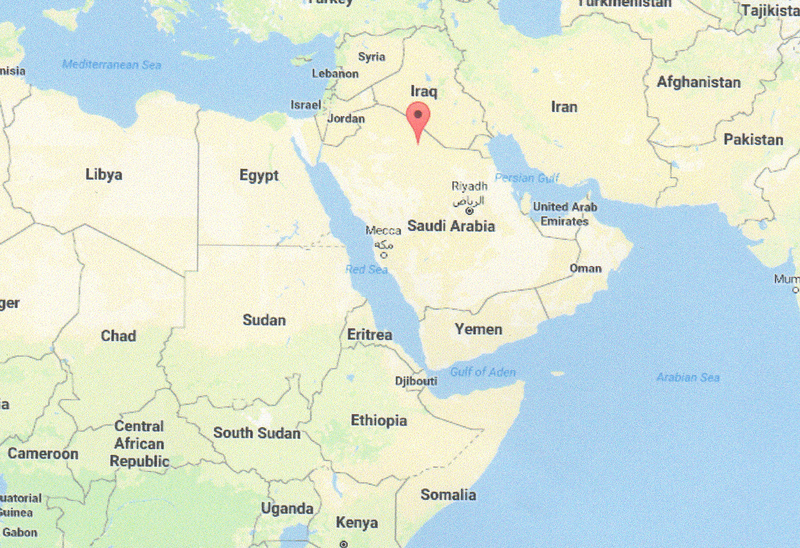 The U.S. Military, which fired thousands of uranium shells during the Persian Gulf War, left at least 387 tons of spent uranium munitions in Kuwait and southern Iraq after the war. The U.S. Government believes, based upon weapons tests in the U.S. and general knowledge about wind patterns, that there is no health or environmental hazard, but it has not undertaken any study of battlefield areas. After the Persian Gulf War, contaminated U.S. armored vehicles were prepared for disposal in the United States. The U.S. soldiers–at least 25– who handled those vehicles were not warned of DU hazards or wore any protective gear. Army weapons testers at the Jefferson Proving Ground in Indiana fired DU rounds at soft targets-cloth or plywood- to avoid combustion. Still, only 22,000kg of the 91,000kg fired there between 1984 and 1992 were recovered in biannual clearance operations. The Army will have to strip away several feet of soil during decontamination. This will increase soil erosion and the migration of DU. The NRC permitted Nellis Air Force Base to receive and process up to 77,000 lbs. of DU rounds. These rounds were used in testing on the base’s Range 63 using tanks as targets. In 1980, NL Industries Uranium Weapons factory in Clonie, New York was forced to close. Uranium particles were found as far as 26 miles downwind. In 1981, workers at Aerojet’s TNS Uranium Weapons Plant in Jonesborough, Tennessee went on strike because of plant conditions that caused an epidemic of uranium poisoning. Alexandra C. Miller is a senior scientist with the Armed Forces Radiobiology Research Institute and an assistant professor at the Uniformed Services University of the Health Sciences in Bethesda, Maryland. Dr. Miller has numerous publications in the area of depleted uranium health hazards and is the author of Depleted Uranium, Properties, Uses, and Health Consequences from the CRC Press. During the 1991 Persian Gulf War several US military personnel were wounded by shrapnel fragments consisting of depleted uranium. These fragments were treated as conventional shrapnel and were not surgically removed to spare excessive tissue damage. Uranium bioassays conducted over a year after the initial uranium injury indicated a significant increase in urine uranium levels above natural background levels. The potential mutagenic effects of depleted uranium are unknown. To assess the potential mutagenic effects of long-term exposure to internalized depleted uranium, Sprague-Dawley rats were implanted with depleted uranium and their urine and serum were evaluated for mutagenic potential at various times after pellet implantation using the Ames Salmonella reversion assay. Tantalum, an inert metal widely used in prosthetic devices was used for comparison. Enhancement of mutagenic activity in Salmonella typhiurium strain TA98 and the Ames II™ mixed strains (TA7001-7006) was observed in urine samples from animals implanted with depleted uranium pellets. In contrast, urine samples from animals implanted with tantalum did not show a significant enhancement of mutagenic activity in these strains. In depleted uranium-implanted animals, urine mutagenicity increased in a dose- and time-dependent manner demonstrating a strong positive correlation with urine uranium levels (r = 0.995, P < 0.001). There was no mutagenic enhancement of any bacterial strain detected in the sera of animals implanted with either depleted uranium or tantalum pellets. The results suggest that uranium content in the urine is correlated with urine mutagenicity and that urinary mutagenicity might be used as a biomarker to detect exposure to internalized uranium. 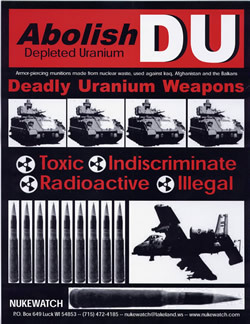 Depleted uranium (DU) is a dense heavy metal used primarily in military applications. Published data from our laboratory have demonstrated that DU exposure in vitro to immortalized human osteoblast cells (HOS) is both neoplastically transforming and genotoxic. DU possesses both a radiological (alpha particle) and a chemical (metal) component. Since DU has a low-specific activity in comparison to natural uranium, it is not considered to be a significant radiological hazard. In the current study we demonstrate that DU can generate oxidative DNA damage and can also catalyze reactions that induce hydroxyl radicals in the absence of significant alpha particle decay. Experiments were conducted under conditions in which chemical generation of hydroxyl radicals was calculated to exceed the radiolytic 6 generation by 10 -fold. The data showed that markers of oxidative DNA base damage, thymine glycol and 8-deoxyguanosine could be induced from DU-catalyzed reactions of hydrogen peroxide and ascorbate similarly to those occurring in the presence of iron catalysts. DU was 6-fold more efficient than iron at catalyzing the oxidation of ascorbate at pH 7. These data not only demonstrate that DU at pH 7 can induced oxidative DNA damage in the absence of significant alpha particle decay, but also suggest that DU can induce carcinogenic lesions, e.g. oxidative DNA lesions, through interaction with a cellular oxygen species. Published by Elsevier Science Inc.
involved in the toxicity and tumorigenicity of both DU and HMTAs. It is known that radiation can induce a transmissible persistent destabilization of the genome. We have established an in vitro cellular model using HOS cells to investigate whether genomic instability plays a role in depleted uranium (DU)-induced effects. Transmissible genomic instability, manifested in the progeny of cells exposed to ionizing radiation, has been characterized by de novo chromosomal aberrations, gene mutations, and an enhanced death rate. Cell lethality and micronuclei formation were measured at various times after exposure to DU, Ni, or gamma radiation. Following a prompt, concentration-dependent acute response for both endpoints, there was de novo genomic instability in progeny cells. Delayed reproductive death was observed for many generations (36 days, 30 population doublings) following exposure to DU, Ni, or gamma radiation. While DU stimulated delayed production of micronuclei up to 36 days after exposure, levels in cells exposed to gamma-radiation or Ni returned to normal after 12 days. There was also a persistent increase in micronuclei in all clones isolated from cells that had been exposed to nontoxic concentrations of DU. While clones isolated from gamma-irradiated cells (at doses equitoxic to metal exposure) generally demonstrated an increase in micronuclei, most clonal progeny of Ni-exposed cells did not. These studies demonstrate that DU exposure in vitro results in genomic instability manifested as delayed reproductive death and micronuclei formation. Published by Elsevier Science Ltd.